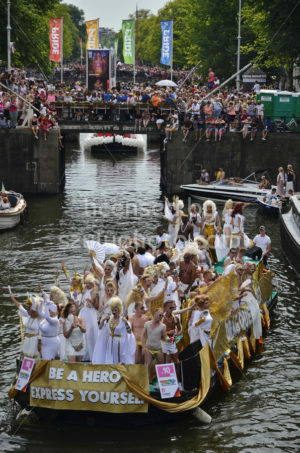 Editorial coverage of the traditional boat parade at the annual Pride festival. 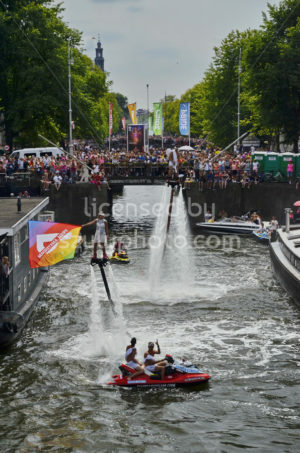 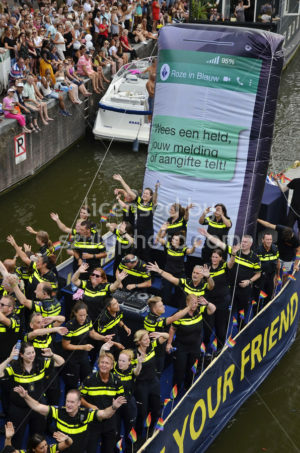 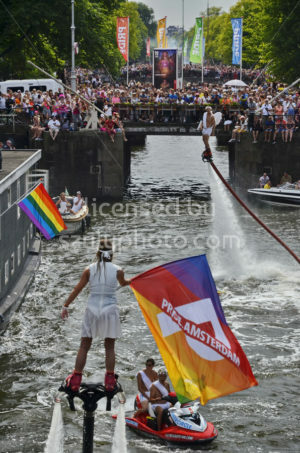 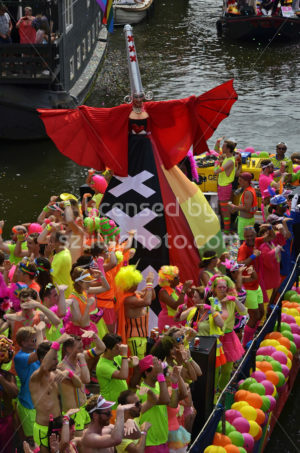 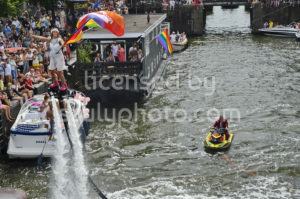 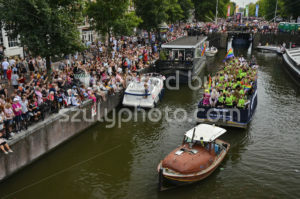 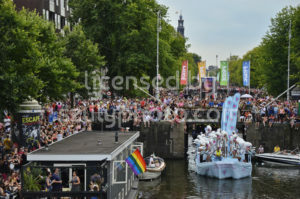 The festival is a week long event celebrating freedom and diversity and organised by the LGBT community of Amsterdam. 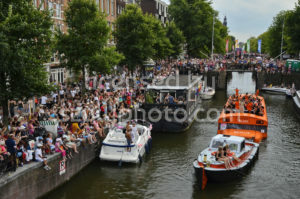 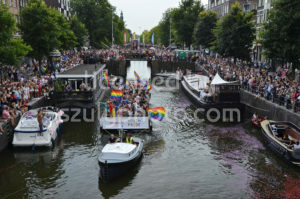 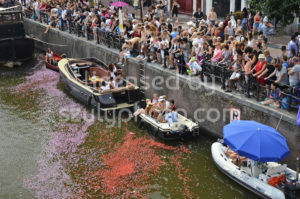 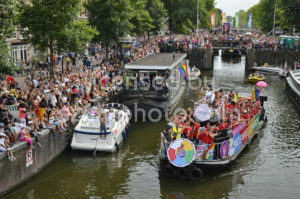 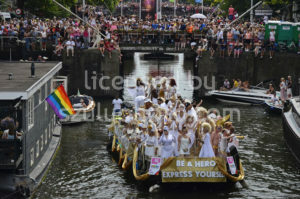 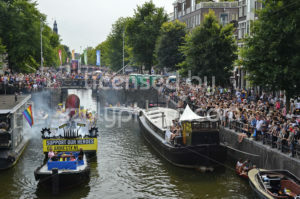 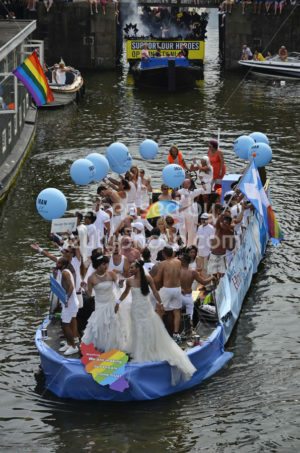 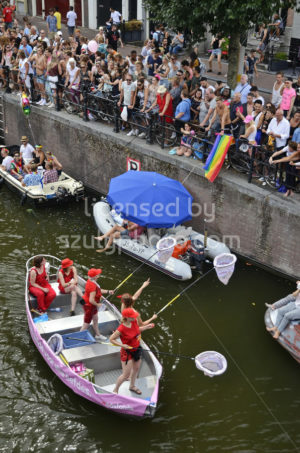 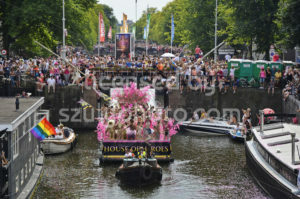 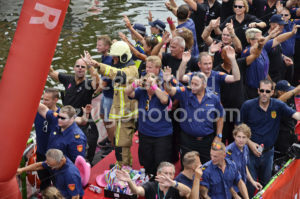 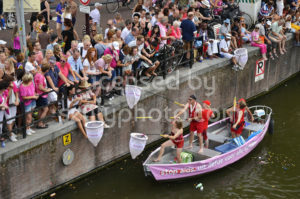 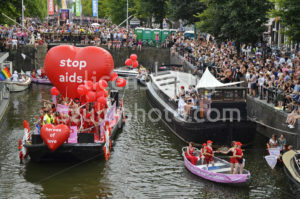 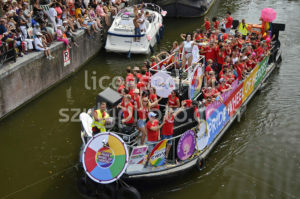 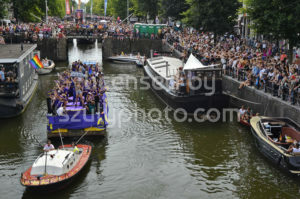 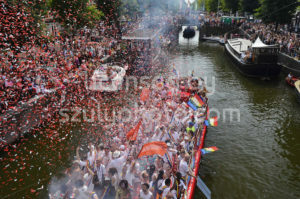 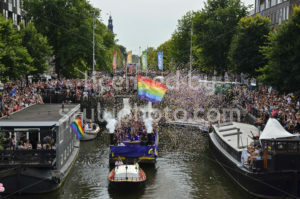 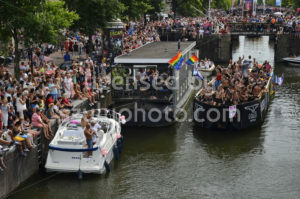 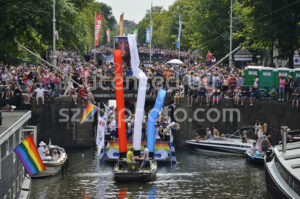 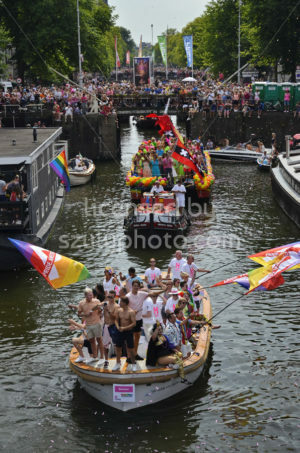 The boat parade goes along the Prinsengracht canal from the Westerdok to the Oosterdok among hundreds of thousands of spectators.